Tag Archive | "Barbra Chong"
Pictured is Blake Hammer in the 11/12 Novice age group. 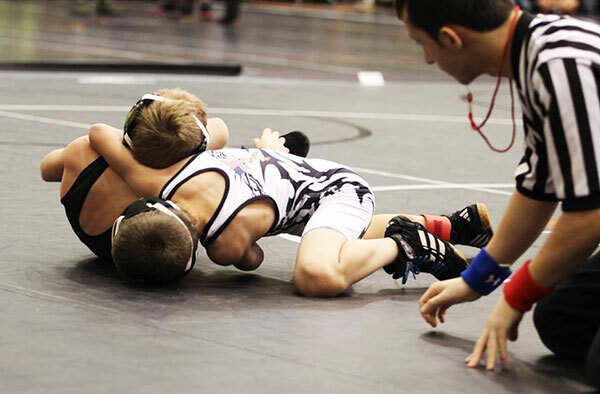 He won his very first match last weekend, and his coaches and teammates are very proud of him. Photo by B. Chong. West Michigan Pursuit traveled to Sparta for the Meijer State Games and Indianapolis for the Indy Nationals last weekend. 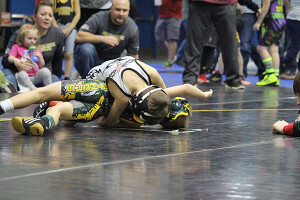 Blake Peasley entered the 75 lb Intermediate division at the Indy Nationals. He battled thru tough competition and went 2-2 for the day, finishing 4th place overall. WMP entered 14 grapplers to compete at the Meijer State Games and placed 13 in the top four. 55 lb Aaiden Vasquez, 7/8 age group, finished in 4th Place. 67 lb Chayson Eberspeaker, 7/8 age group, finished in 3rd Place. In second place was 80 lb Blake Hammer, 11/12 Novice age group; 52 lb Kaleb Pautke, 7/8 age group; 52 lb Desmond Smith, 4/6 age group and 75 Isaiah Sostenes, 9/10 age group. Desmond went 4-1, battling his way back for a True Second. Champions of the day were 61 lb Quinten Cassiday, 7/8 age group; 70 lb Carter Castillo, 11/12 age group; 63 lb Luke Egan, 9/10 age group; 67 lb Tyler Parmeter, 7/8 age group; 59 lb Josh Vasquez, 9/10 age group; 55 lb Kellen Weckesser, 7/8 age group and 49 lb Blake Werkema, 4/6 age group. 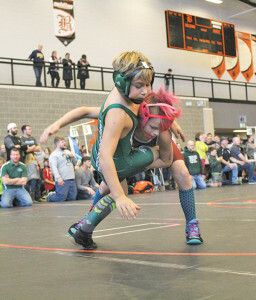 “It’s a proud moment yet heartening when two of my kids meet up in the Finals to square off. I have to sit back and watch them apply what I have taught them without coaching either one. These kids put on an entertaining match every time they step on the mat,” said Head Coach Dave Andrus. West Michigan Pursuit 65 lb Champion Carter Castillo in the 11/12 age group. Photo by B. Chong. West Michigan Pursuit had another busy weekend of wrestling. 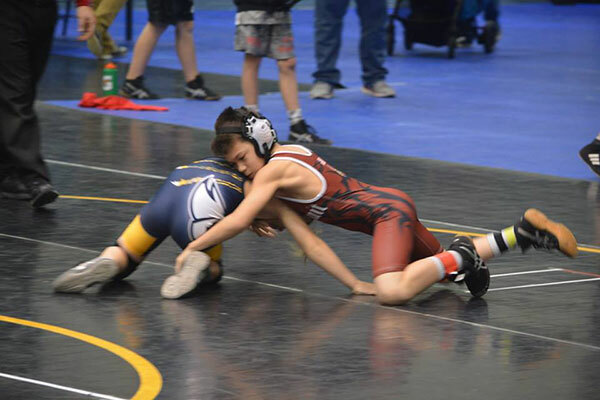 62 lb Drew Moro traveled to Minnesota for the Gopher State Nationals Midwest Tour. Drew finished 5th Place in the First and Second Grade division. 58 lb Kellen Weckesser entered the Chippewa Hills tournament. Kellen finished 2nd in the 7/8 age group. 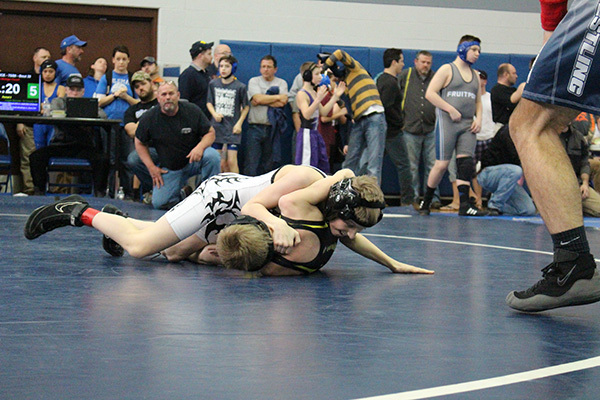 WMP had 19 grapplers enter the Greenville Tournament and placed 17 in the top four. 80 lb Isa Starr finished 4th Place in the 9/10 age group. 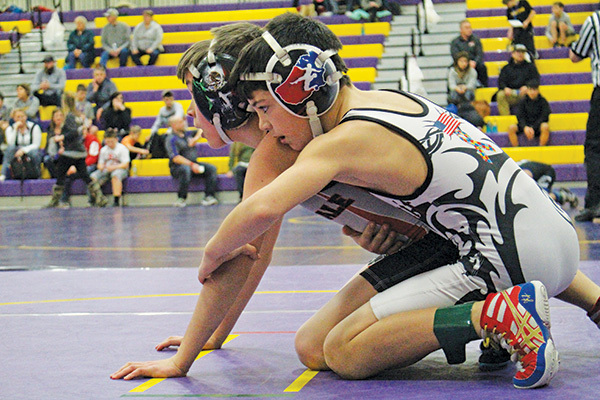 Finishing in third was 80 lb Blake Hammer, 11/12 Novice age group; 55/59 lb Mason Hendrick, 9/10 age group; 52/55 lb Kaleb Pautke, 7/8 age group; 80 lb Isaiah Smith, 9/10 age group and 158 lb Maston Wood, 11/12 age group. In second place was 67 lb Chayson Eberspeaker, 7/8 age group and 75 lb Isaiah Sostenes, 9/10 age group. Sostenes battled hard. He lost his first match of the day and battled back with a record of 5-1 to finish with a true second. Champions of the day were 64 lb Quinten Cassiday, 7/8 age group; 65/75 lb Carter Castillo, 11/12 age group; 145/155 lb Aaiden Dowdell, 13/15 age group; 63 lb Luke Egan, 9/10 age group; 67 lb Tyler Parmeter, 7/8 age group, 80 lb Blake Peasley, 9/10 age group; 58/61 lb Selina Stalker, 4/6 age group; 55/59 lb Josh Vasquez, 9/10 age group and 49 lb Blake Werkema, 4/6 age group. “As we get closer to Regionals, we are starting to peak at the right time and their confidence grows each week. These kids are learning to focus on their own in preparation of their matches,” said head Coach Dave Andrus. 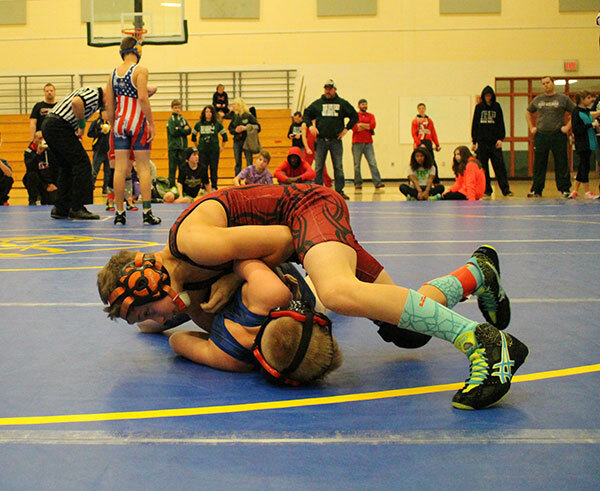 Pictured is West Michigan Pursuit wrestler 80 lb Blake Peasley, Champion of 9/10 open division. Photo by Barbra Chong. West Michigan Pursuit traveled to Belding this past weekend. 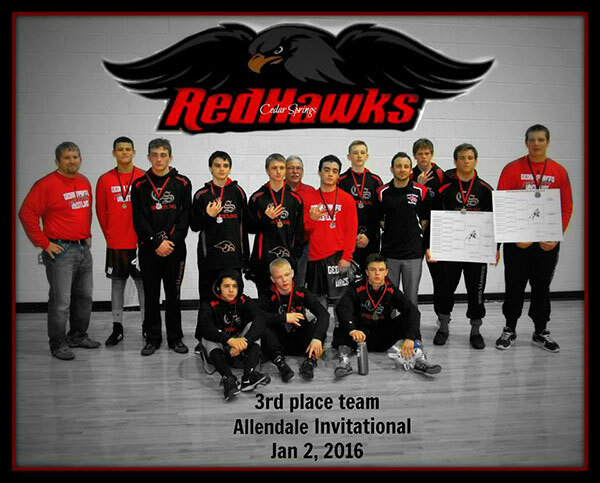 Fifteen grapplers placed in the top four out of the 17 entered. WMP claimed 35 victories this weekend putting them at a 71 percent win ratio. 4th Place Medalist is 85lb Logan Bennett, 11/12 Open division. 3rd Place Medalists include 67 lb Luke Egan, 9/10 Open division; 64 lb Logan Galinis, 7/8 Novice division; 80 lb Isaiah Smith, Open division; 55/58 lb Kellen Weckesser, 7/8 Open division and 158 lb Maston Wood, 11/12 Open division. 2nd Place Medalist is 52 lb Kaleb Pautke, 7/8 Open division. CHAMPIONS are 61 lb Quinten Cassiday, 7/8 Open division; 70 lb Carter Castillo, 11/12 Open division; 67 lb Chayson Eberspeaker, 7/8 Open division; 64 lb Drew Moro, 7/8 Open division; 72/77 lb Tyler Parmeter, 7/8 Open division; 80 lb Blake Peasley, 9/10 Open division; 75 lb Isaiah Sostenes, 9/10 Open division and 49 lb Blake Werkema, 4/6 Open division. If you are interested in learning more about this sport or if your wrestler is looking to compete at the next level, check them out. They are located in the Cedar Springs Sports Plex. Practices are Tuesday and Thursday from 6:30 p.m. – 8:30 p.m.
Isaiah Sostenes took third place in the 61/64lb 7/8 age group. Photo by B. Chong. 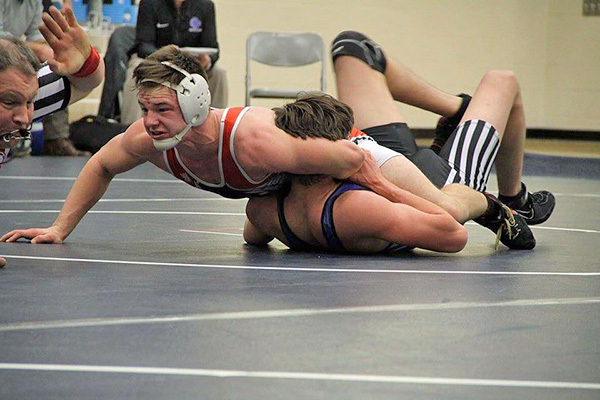 West Michigan Pursuit traveled to Byron Center this past weekend, which proved to be a tough tournament with over 700 grapplers competing. WMP entered 23 and placed 18 in the top four. We have three Champions who remain undefeated this season: Chayson Eberspeaker, 6 & under age group; Luke Egan, 7/8 age group; and Jayden Marcano-Cruz, 7/8 age group. Fourth place medalists include 75 lb Logan Bennett, 9/10 age group; 61/64 lb Tyler Parmeter, 7/8 age group, and 52 lb Aaiden Vasquez, 6 and under age group. Third place medalists include 46 lb Jacob Howard, 6 and under age group; 85 lb Josh Howard, 9/10 age group; 61/64 lb Isaiah Sostenes, 7/8 age group and 52 lb Kellen Weckesser, 7/8 age group. Second place medalists include 95 lb Gage Bowen, 9/10 age group; 80 lb Xavier Contreras, 11/12 age group and 90/95 lb Brocke Fisher, 13/14 age group. Champions are 59 lb Michael Cannon, 9/10 age group; 55 lb Quinten Cassiday, 7/8 age group; 58 lb Chayson Eberspeaker, 6 and under age group; 58 lb Luke Egan, 7/8 age group; 55 lb Landon Foss, 7/8 age group; 49 lb Jayden Marcano-Cruz, 7/8 age group; 72 lb Blake Peasley, 7/8 age group and 55 lb Joshua Vasquez, 9/10 age group. “With a tournament this size, it gives us a great perspective of where we stand within the West Region. These kids continue to exceed my expectations, [and] I am very proud of how they performed today,” said Head Coach Dave Andrus.